This comparison of log shippers Filebeat and Logstash reviews their history, and when to use each one- or both together. So, why the comparison? Well, people are still getting confused by the differences between the two log shippers. With the introduction of Beats, the growth in both their popularity, and the number of use cases, people are inquiring whether the two are complementary or mutually exclusive. The new Filebeat modules can handle processing and parsing on their own, clouding the issue even further. To be able to deploy an effective centralized logging system, a tool that can both pull data from multiple data sources and give meaning to it is required. 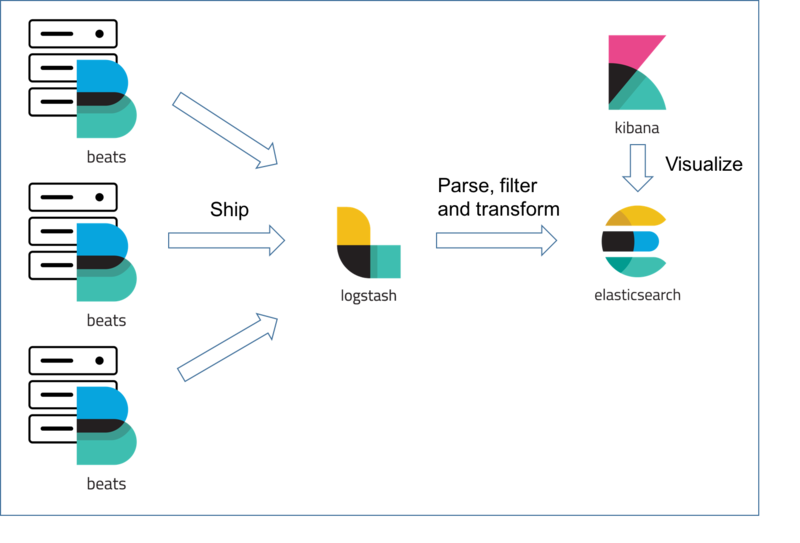 This is the role played by Logstash — it handles the tasks of pulling and receiving the data from multiple systems, transforming it into a meaningful set of fields and eventually streaming the output to a defined destination for storage (stashing). Sounds great, right? Well, there was, and still is, one outstanding issue with Logstash, and that is — performance. Logstash requires JVM to run, and this dependency coupled with the implementation in Ruby became the root cause of significant memory consumption, especially when multiple pipelines and advanced filtering are involved. However, as of yet, advanced log enhancement — adding context to the log messages by parsing them up into separate fields, filtering out unwanted bits of data and enriching others — cannot be handled without Logstash. Moreover, for a number of reasons, and especially in medium- and large-sized environments, you will not want to have each Filebeat agent installed on a host sending off data directly into Elasticsearch.